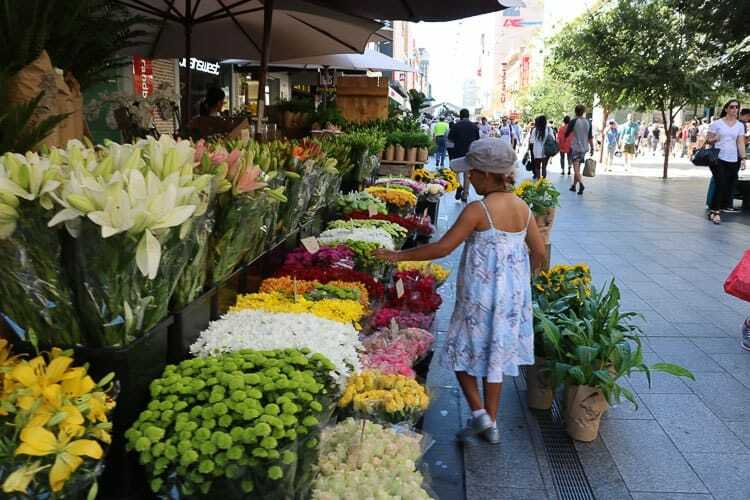 From it’s red dunes of the Simpson Desert, to its spectacular cliffs along the Great Australian Bight, its abundance of wildlife and of course its lovely capital city also known as the “City of Churches” it’s no wonder why South Australian tourism is on the rise. There is certainly no shortage of things to do in South Australia and no matter what kind of family holiday you are after there is sure to be several destinations that you will want to explore. 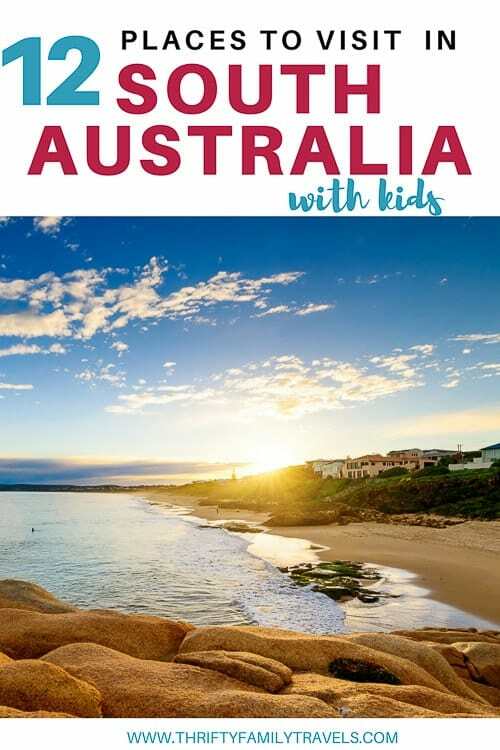 We have some family holidays in South Australia booked for next year and so in preparation I asked some fellow travel bloggers for some tips on the must see South Australia tourist attractions. In this post they cover off on some of the best places to visit in South Australia including their recommendation on things to do and where to stay. 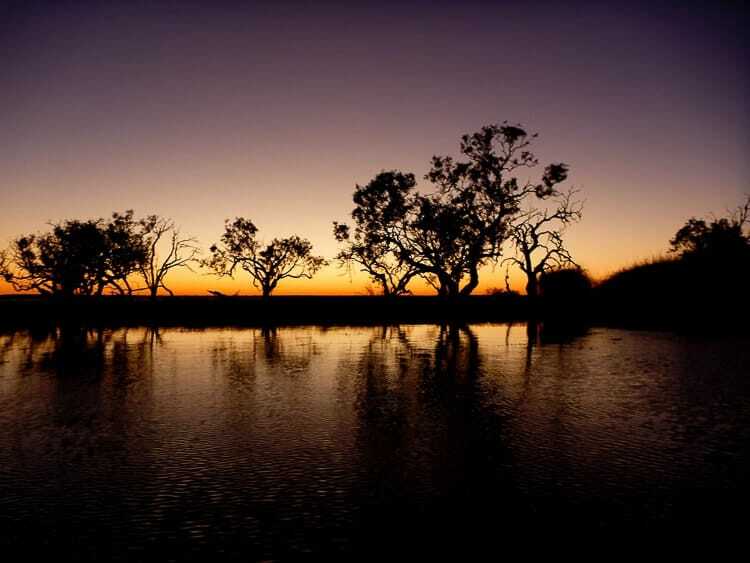 Coongie Lakes is an extensive wetland system which is part of a National Park located in the far northeast corner of South Australia. Coongie is a truly magical place to bring your kids on a four-wheel driving camping adventure. I was lucky enough to visit when I was a kid, and just the thought of the place brings back the fondest memories. You may wonder, where should you stay and what are the best things to do in and around Coongie Lakes? Since Coongie is quite remote and the only real facilities there are drop toilets, then the only option is to camp on the edge of the lake. There are countless options of things to do with your kids such as birdwatching (there are 1000s of different species that have been sighted! 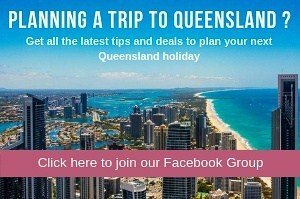 ), canoeing or kayaking around the lakes, watching the incredible sunrises or sunsets, bushwalking, stargazing, photographing the birdlife and enchanting landscapes, or simply relaxing around a desert campfire while listening to the sounds of nature. When I visited Coongie Lakes, it was part of a month-long trip through the outback, so we saw a lot of South Australia. My two brothers and I all said that our few days in Coongie was one of the highlights. Coongie Lake is truly one of the best places in South Australia to visit. Thanks to Sharon from Simpler and Smarter. Coober Pedy had been on my bucket list since I had learned that people lived underground in this town in the middle of nowhere. It’s not the easiest place to reach in the northern part of South Australia in the Outback but it is well worth the effort. Coober Pedy is not like anywhere else, making it one of the most fascinating South Australia destinations. If you have ever wanted to explore the Outback, this is the perfect town to do it from. It’s amazing the different variety of landscapes for a town in the middle of the desert. Coober Pedy came into existence because of opals and it’s fun to take the opportunity to fossick of your own – and naturally you get to keep any you find. 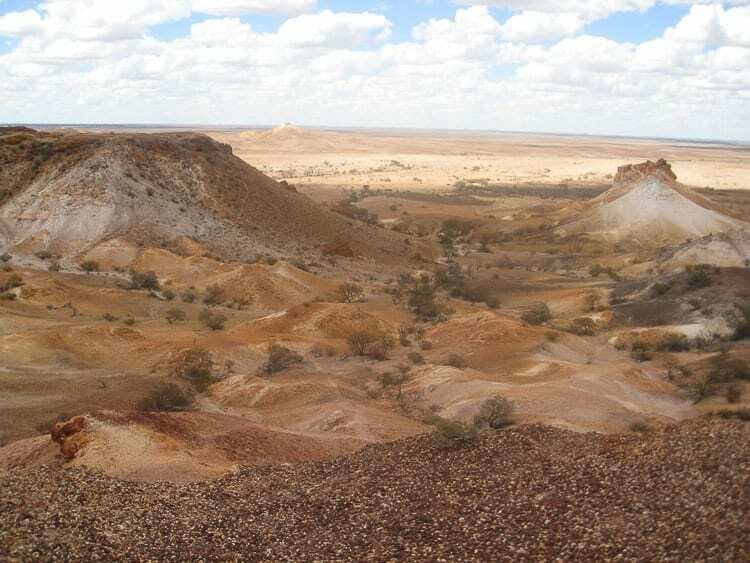 Things to do in Coober Pedy include visiting the Umoona Opal Mine and Museum. Here you can learn about Coober Pedy’s mining history, see an actual mine and walk through an example house. Kids love the novelty of this. Coober Pedy in general is a very family friendly destination. The attractions are mostly outdoors (or underground) and interesting for everyone. The novelty of staying in an underground hotel is hard to resist and you definitely have to make sure you do this! It’s much cooler than being above ground in every way. Click here for family friendly Coober Pedy accommodation. Thanks to Kathy from 50 Shades of Age. 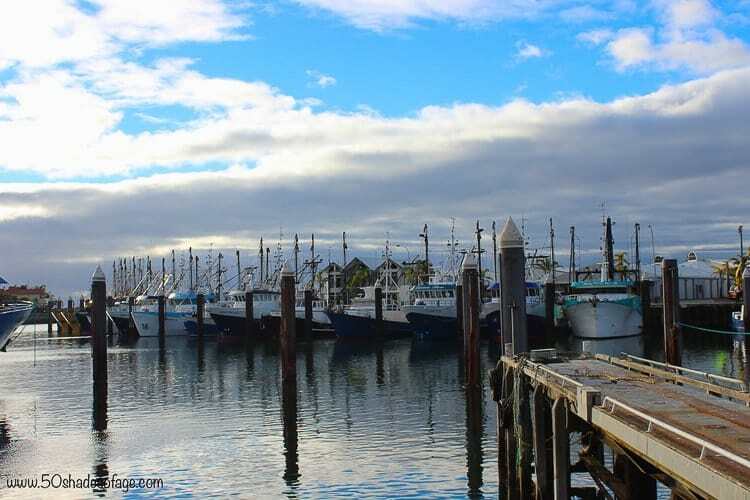 The Port Lincoln Caravan Park is without a doubt one of the best places for Port Lincoln accommodation, with an array of waterfront accommodation options from campsites, luxury units, cabins to caravan sites. 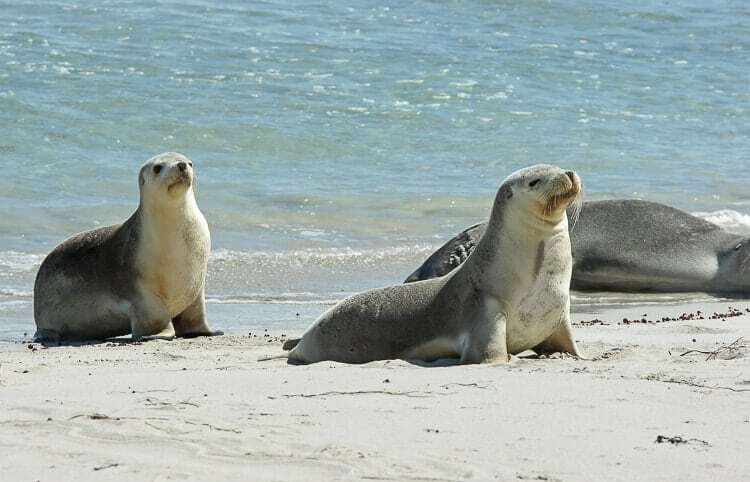 If you are looking for a holiday in South Australia with wildlife, then I recommend Port Lincoln. This is the place to have up close and personal encounters with a variety of marine life. For the adventurous, you can go Shark cage diving and come face to face with the ocean’s ultimate predator – The Great White Shark. For a more sedate adventure you can swim with the Sea Lions on a half day cruise with one of the charter operators. Or view whales, in season, from nearby Sleaford Bay, which has some gorgeous sun-drenched beaches to explore. A visit to the Glen-Forest Farm, where there is a large walk-in bird aviary, native and non-native animals to see, set on 400 acres of farmland. Take a drive out to Mikkira Station & Koala Park, which is one of the oldest stations on the Eyre Peninsula, where there are wild Koalas in the Manna gums. A day trip out to Lincoln National Park on the rugged Jussieu Peninsula with spectacular ocean views and sandy beaches to explore. Discover Whaler’s Way – a wonderland of cliffs, blowholes, crevasses, caves and white sandy beaches. Couple this with the whaler’s days long gone, still in evidence at the old Sleaford Bay Whaling Station, sited at Fishery Bay. Click here for family friendly accommodation in Port Lincoln. 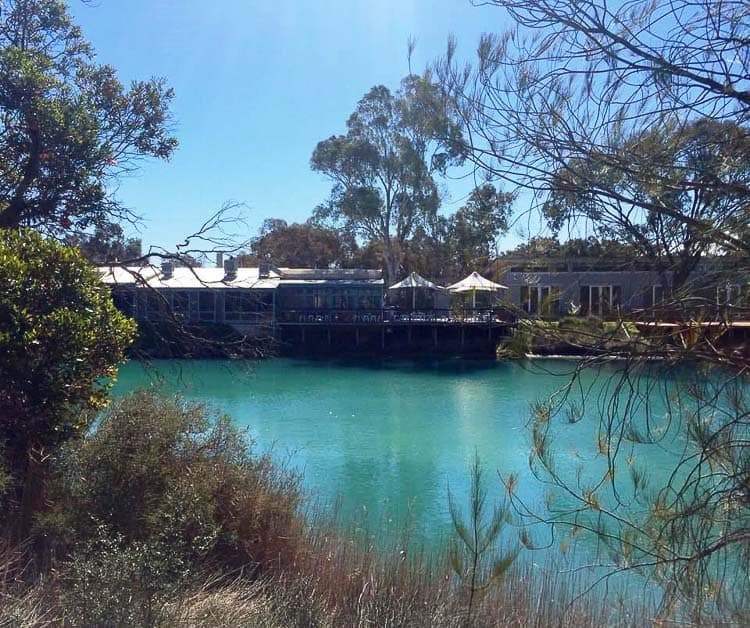 Renmark, in the heart of the Riverland of South Australia, is a well presented town with luscious green lawns and gardens all thanks to the Murray River water supply that surrounds it. Some of our personal favourite things to do in Renmark are to camp out under the stars and to watch the sunset at our favourite caravan park the Big 4 Riverfront Renmark. There is heaps of options to keep the kids entertained at the park. 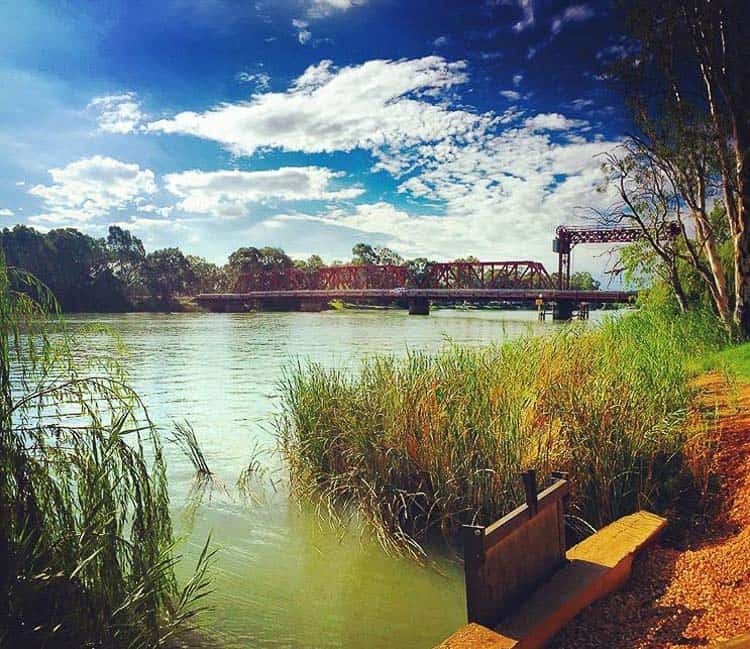 Outside a stay at the park, you can’t go past, getting some snaps of the historic Paringa Bridge, visiting the Lock 5 weir and taking a River cruise on the PaddleSteamer Industry. If your a water lover and you know someone that has a boat, try your luck at water skiing, fishing or even kayaking. We also loved taking drives around the district to visit the parks and gardens and to experience the free ferry ride that takes your vehicle from one side of the river to the other at the towns of Morgan, Waikerie, Cadell and Lyrup. Click here for family friendly accommodation in Renmark. One of the most popular places to go in South Australia would have to be the Barossa Valley. Only one hour from Adelaide the Barossa Valley is one of Australia’s best wine regions and produces some of the best wines, especially reds, in the world. With over 170 wine companies and a plethora of incredible Barossa Valley restaurants, growers markets, shops and stunning views and vistas there is plenty for the grown up to do but lots for the kids as well. With a responsible driver or an organised tour it can be an easy day trip from Adelaide or a great place to spend a few days with the family. 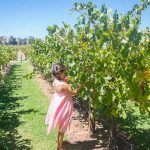 Wineries that have playgrounds and other things of interest for kids include Whistler Wines, Jacobs Creek, Lambert Estate, Turkey Flat and Yalumba and our favourite cellar door, Artisans has a huge lawn that often becomes a cricket pitch. Another favourite spot of ours is Maggie Beers Kitchen where you can grab a hamper and enjoy a picnic on the lake full of ducks and turtles. There are some great parks including Lyndon Recreation Park and Eden Valley Scenic Lookout as well as an old reservoir known as The Whispering Wall. Much of the Barossa Valley accommodation on offer is family friendly and there are many lovely cottages and B&B’s that are great for the kids to experience time in the country. A lot of families love to stay at Discover Holiday Park in Tanunda which have 2 bedroom cabins and a huge modern playground. Click here for family friendly accommodation in the Barossa Valley. Port Adelaide is the Maritime hub of South Australia. It is full of history, and is undergoing a transformation into a trendy cafe suburb. It is easy to access from the city centre by train, bus or car. 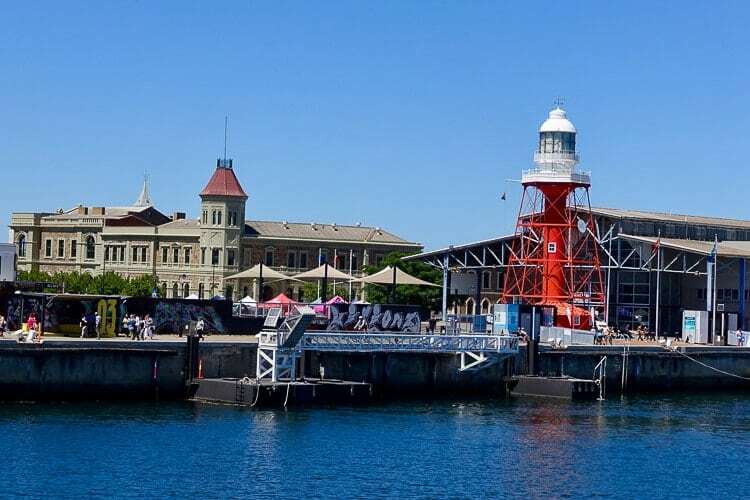 Things to do in Port Adelaide include a visit to the three fantastic museums, the SA Maritime Museum, the National Railway Museum and the Aviation Museum. All three cater for kids with interactive displays and activity areas. Port Adelaide is the home of one of the few dolphin pods to live in an urban environment. For only a few dollars, the Dolphin Explorer will cruise up and down the Port River, giving a history of the area’s industrial past and present while dolphins swim along side or play in the bow waves. When the kids want to blow off steam, a large playground on the wharf at Hart’s Mill will do the job. There is space to run and play, and a cafe for parents to relax. There are also public BBQs here for putting together a quick and easy lunch. The recently opened Quest Apartments provide a convenient place to stay. They are located right on the wharf, with views over the Port River. In only a few minutes it is possible to reach all the attractions and many food and shopping options. Click here for family friendly accommodation in Port Adelaide. We love visiting Adelaide; with a laid back friendly atmosphere, it feels more like a big country town than a capital city! The pace seems unhurried and the people stop on the street to help you out. On our last stay we stayed in a great little Airbnb in the residential suburb of Glandore and used the recently updated tram to move about. 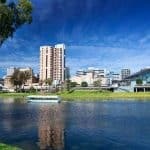 There is plenty of things to do in Adelaide with kids, with the highlights of our stay being exploring the large botanic gardens, wandering along North Terrace with its many great public buildings and – of course – seeing the Pandas at the Adelaide Zoo. Click here to see Thrifty Family Travels detailed post on Adelaide with kids. Other places to visit in Adelaide include the nearby famous seaside suburb of Glenelg. Glenelg is awesome for some fish n chips by the water watching the sunset, and soaking in the vibe. There is varied Playground and our kids were well entertained while we joined the busy crowd on the Glenelg Jetty for sunset photos. We had also planned to go on the cruise to see the dolphins in Port Adelaide and have heard awesome reports! 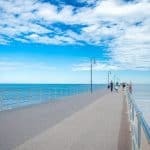 Click here for more information about things to do in Glenelg and here for where to stay in Glenelg. We have visited Adelaide twice with kids in order to attend WOMAdelaide, which takes place during the Adelaide Fringe Festival. As such, we actually haven’t done heaps of typical tourist activities in Adelaide because we are there to make the most of the festivals. WOM is a the “World of Music” a worldwide festival that celebrates worldwide music and artists. Click here for family friendly accommodation in Adelaide. If you are after a break from checking out the gorgeous beaches along the coast or simply would love some peace and fresh air, then this is the place for you. Belair National Park is located just 25 minutes away from Adelaide City and boasts 835 hectares of native woodland and lakes with activities for the whole family. Here you will find walking trails of multiple difficulty levels so families of all ages can enjoy a bushland walk or hike. While you are out for a hike keep your eyes peeled for a wild koala sighting. If you are visiting with little ones, don’t forget a carrier as little feet are bound to get tired. Set in a gorgeous bushland setting with trees and open space as far as the eyes can see you will find the Adventure Playground. It contains a variety of play structures that will be fun for little kids and big kids alike. Our absolute favourite were the tunnels which with water and mud at the time of our visit, were double as much fun. Allocate at least an hour of you visit aside to let the kids run wild and it is bound to be the highlight of their day. We recommend that you bring a picnic and snacks particularly if you’ll be setting off on a hike. You will find a kiosk next to the playground however it is only open on weekends, public holidays and school holidays. If visiting outside of these hours, then make a stop at the Sheoak Cafe on the way for a hot drink. Being so close to the city you will find a lot of variety in accommodation including hotels, motels and lodges. However for the ultimate family friendly accommodation, check out the Marion Holiday Park. They have numerous facilities for the whole family including pools, waterpark, playground and more. Blowhole Beach is one of South Australia’s best-kept secrets. It’s just 1.5 hours drive from Adelaide at the Deep Creek Conservation Park. The entry fee is $8 and you can pay before online or book online when you arrive at the park. After a 20 min hike through the wilderness, passing by lazing kangaroos and typical Australian wildlife and plants, you will arrive above the bay. The contrast between the dry grass on the mountains and the crystal clear water is a fantastic sight. If you have a 4wd you can drive all the way down to the beach, which might be ideal for smaller kids. However, the walk to the beach is about 20-30 minutes and possible for children of all ages. You can expect to see a few local fisherman and only a couple of other daytrippers who have made the effort from Adelaide. 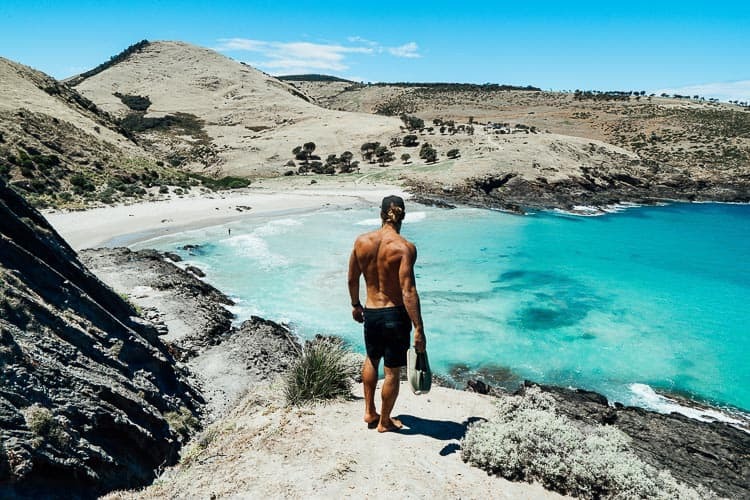 You can now set up your umbrella, have a refreshing swim and enjoy the reward of getting off the beaten path in South Australia. After a sweaty but beautiful hike we were ready for a swim. Visiting during the middle of the summer didn’t mean the water was going to be warm it was chilling to say the least. Waves rolled on through consistently during the afternoon. A couple of fisherman were the only others who were enjoying the scenery on the weekday. Not content with viewing this world-class beach from the shore we decided to clamber up the rocks on the right side of the bay. This is when we really got to enjoy the bay as we looked back towards the shore. On the walk down to the beach we enjoyed the scenery but didn’t come across much wildlife. However as we made the trek back up the hill it seemed as though we had stumbled into the kangaroo hub of Deep Creek Conservation Park. We spotted over 15 kangaroos in a matter of minutes, much to the delight of my Norwegian friend, Just Salvesen who was visiting for the week! Click here for family friendly accommodation close to Blowhole Beach. Nestled on the wide, sandy arc of Encounter Bay on the Fleurieu Peninsula, Victor Harbor has been the Summer holiday choice for generations of South Australians and is only 83Kms from Adelaide. And I can see why. Victor Harbor has just about everything you could want for a South Australia beach holiday: Sun, surf and sand. So it’s easy to understand why people would want to holiday here. There are numerous accommodation options from caravan parks, holiday units to hotels. 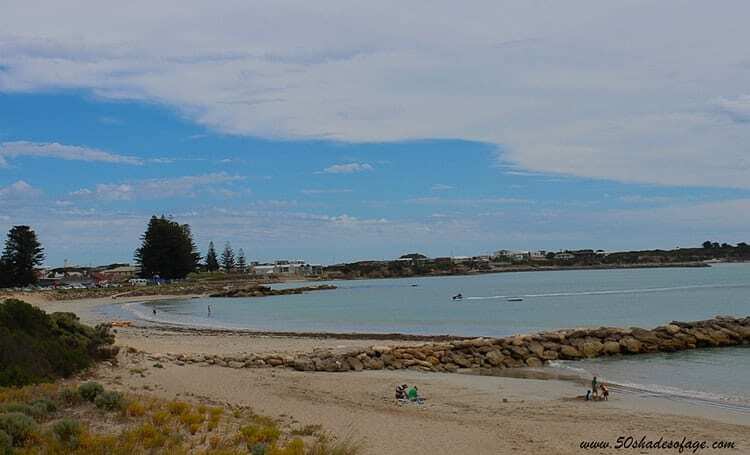 Click here to see Thrifty Family Travels detailed post about Victor Harbor with kids. 1. Catch the Cockle Steam Train from Victor Harbor to Goolwa that winds its way down the coastline with spectacular views. 2. 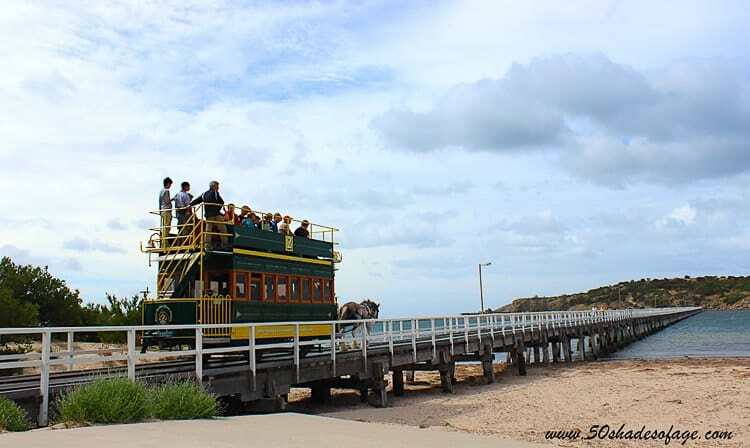 Take the quaint horsedrawn tram journey across the causeway to Granite Island. 3. Surf or swim at one the numerous beaches such as Waitpinga, Parsons, Chiton Rocks and Dump Beach. 4. 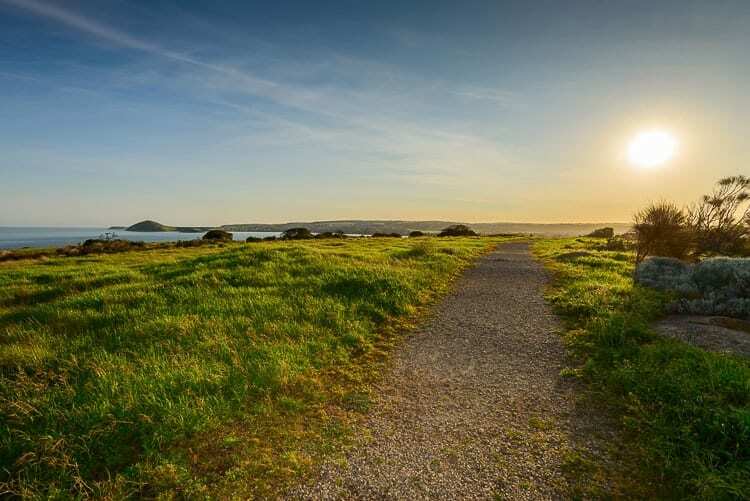 For a close encounter with the Little Penguins take a one hour tour at dusk at the Granite Island Nature Park. 5. Go to the Urimbirra Wildlife Experience for some more wildlife encounters with Koalas, Crocodiles and Snakes. 6. Visit the South Australian Whale Centre to experience and discover three floors of interactive and informative exhibits. 7. Hop aboard The Big Duck Boat Tour and see seals, dolphins and whales (in season). Click here for family friendly accommodation in Victor Harbor. One of the most popular holiday destinations in South Australia is Kangaroo Island. 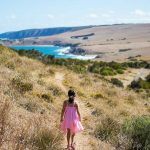 Kangaroo Island feels as if you’re taking your family completely off grid, only getting to this captivating island escape is as easy as pie. Take a car on the short and scenic ferry crossing from Cape Jervis (2 hours from Adelaide) and explore an outdoor wonderland, where you can walk with seals, climb over windswept boulders, dive into shimmering rock pools and witness an abundance of Aussie flora and fauna. Kangaroo Island holidays for families are perfect. It’s easy to get around Kangaroo Island, sealed roads wind around the island, occasionally hugging the dramatic coastline for sensational views. Drop into Admirals Arch where kids can climb up an old timey lighthouse and go for a stroll around the coastline. There’s magnificent empty beaches to explore, some beauties include sheltered Emu Bay and Vivonne Beach a picture of powder white sand crystal sea. There’s no need to rough it either, best places to stay on Kangaroo Island include roomy home stays and apartment style accommodation. The food scene is just as impressive as the scenery with organic honey farms, elegant wines to rival the mainland, fresh oysters and the sweetest farmed Maron that I still dream about today. Click here for family friendly accommodation on Kangaroo Island. The historic seaside resort town of Robe oozes charm, set amid stunning beaches, rugged cliffs and tranquil lakes. Robe was once one of the largest ports of the Limestone Coast in South Australia and remains proud of its shipping history, with museums, cottages and historic walking trails bringing the local maritime culture to life. The best Robe holiday accommodation is the Sea Vu Caravan Park perched right on the calm waters of Guichen Bay that is popular for swimming, fishing, sailing or kayaking. The caravan park has a selection of cabins, beach shacks or caravan sites available. 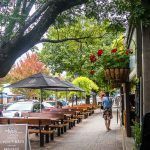 It is also in close proximity to town where there is a good selection of eateries, a great bakery, cafes, the historical Caledonian Inn, shops and services. Robe is very much a family beachside holiday destination with loads of historical buildings, the Obelisk, Old Gaol ruins and the12 kilometre stretch of beach – the fabulous Long Beach. There is plenty of things to do in Robe including swimming, fishing or taking a long walk. You can pick up a scenic self-drive map from the Visitors Information Centre in town and visit the many points of historical interest. 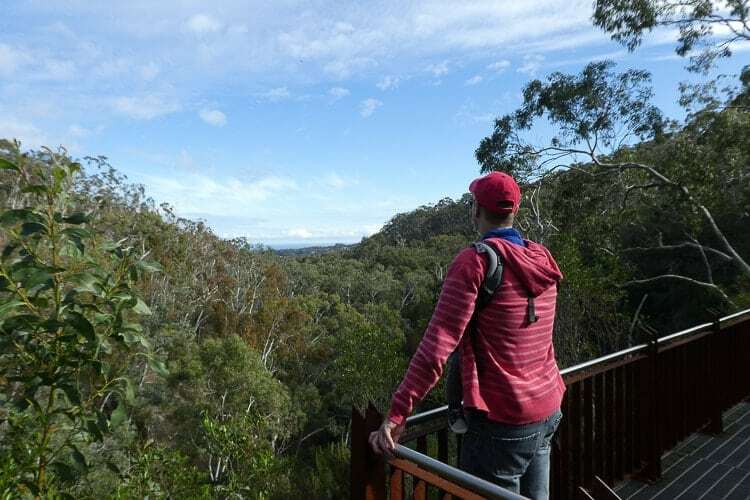 For a great day trip take a drive out to Little Dip Conservation Park that is the ideal spot for bushwalking. The park boasts a rich diversity of birdlife as well as attractive sand dune formations that fringe small beaches and substantial salt and freshwater lakes. Click here for family friendly accommodation in Robe. 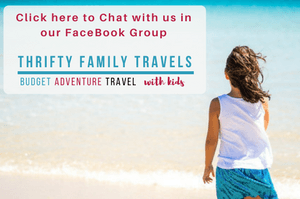 If you need more inspiration for things to do in South Australia, click here to see more great family friendly organised tours. Do you need more inspiration for places to visit in Australia? 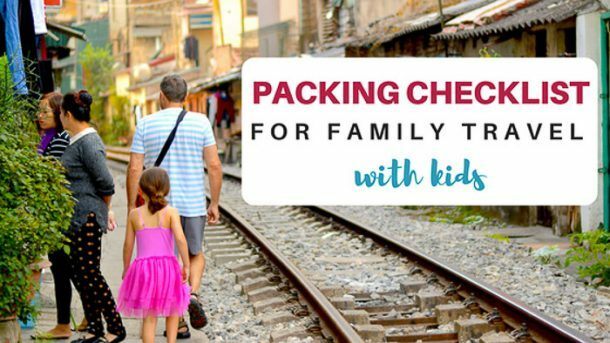 Go to our Australia page with more great tips on places to visit with the kids.